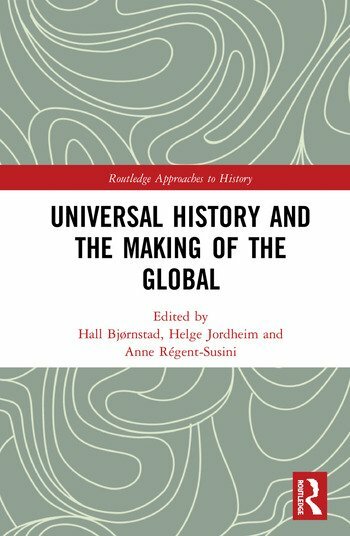 By examining the history of universal history from the late Middle Ages until the early nineteenth century we trace the making of the global. Early modern universal history can be seen as a response to the epistemological crisis provoked by new knowledge and experience. Traditional narratives were no longer sufficient to gain an understanding of events. Inspired by recent developments in theory of history, the volume argues that the relevance of universal history resides in the laboratory of intense, diverse and mainly unsuccessful attempts at thinking history and universals together. They all shared the common aim of integrating all time and space: assemble the world and keep it together. Hall Bjørnstad is Associate Professor of French and Director of Renaissance Studies at Indiana University, Bloomington. Helge Jordheim is Professor of Cultural Studies, University of Oslo, and Professor II of German, Norwegian University of Science and Technology. Anne Régent-Susini is Associate Professor at the Université Sorbonne nouvelle (Paris) and a member of Institut Universitaire de France (IUF).